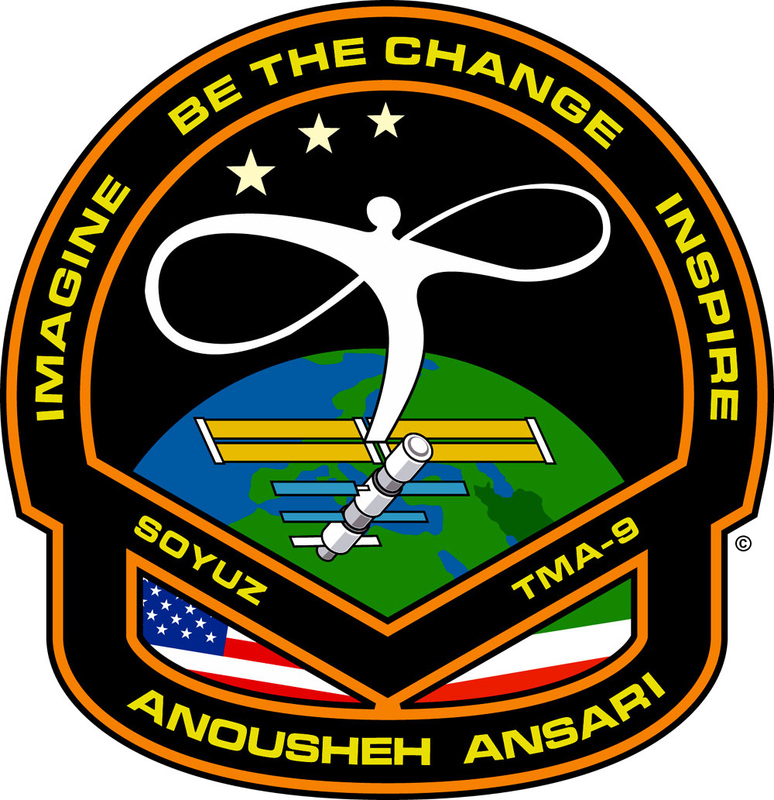 Anousheh designed the mission patch for her space expedition — a beautiful expression of her goals for the voyage. Beautiful patch, especially the map of Iran which shows you are a patriot who really loves her country. May God protect you in this trip. خیلی هوشحالم که میبینم شما اولین هستی . اولین زن اولین ایرانی. شما آرزوی تمام مردم ایران رو محقق کردین …. دوستان خواهش میکنم نظراتتون رو فارسی تایپ کنید چون الان وقتشه به ایرانی بودنمون افتخار کنیم …. Graet to see the artwork of the patch…Thank you very much !! Is it possible to post more info about the desing of the patch and some personal comments from Ansari…..
What a faboulous days you are living in right now. I’m gonna print this and hang it outside my dorm room 😉 Don’t forget to blog from the space. Will you have internet connection over there? rafti oon bala be fekre hamaye oonayee ke doost daran oon bala bashan va hala be har dalili poolesho nadaran ham bash. salam. zan boodan eftekhar ast.irani boodan eftekhar ast .ma eftekhar mikonim ke to yek zane irani hasti .zira be ma ghorore zendegi kardan dadehi.movafaghiyate to sarfaraziya iranian va zanane iran ast. dametoon garm barAye gozAshtane parchame irAn . zende bAd zanAne irAni . Great design on the patch, heard about it from a good friend and looked forward to seeing it. You are an inspiration to us all. Our hearts, prayers and love are with you every step of this historic journey. God speed and safe return. That is an awesome design! As an artist I am inspired and as an American – I congratulate you on your achievements to strive for the stars! I wish you God Speed on your journey – I am envious of anyone who gets the ultimate ride which is right around the corner for you! I love your site and I look forward to reading more in the future after your safe journey. I also like your support of the X project. God Bless! and would love to hear from you.